Google Posts provide a useful way to communicate with customers searching for your brand in Google search. Posts are set to expire from the My Business listing after 7 days of posting, but remain in the feed which can be viewed via the ‘View previous posts on Google’ link. 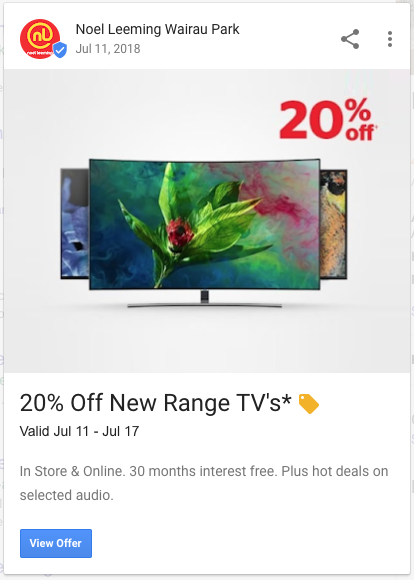 Google rewards businesses that post frequently by changing the link mentioned earlier to an arrow icon with ‘View All’ below. The Offers post type is the exception as the call to action is automatically added to you post with the text ‘Get offer’. What’s New allows you to create a generic message post, flexible for a range of use cases. 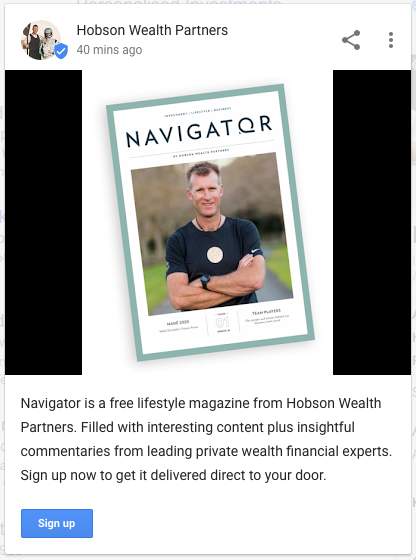 Hobson Wealth Partners used the What’s New post type to promote a free magazine, with a call to action pushing the user to a landing page with sign up form. Post text can be added between 100 and 300 words, along with an optional call to action button. An image or video can also be optionally added to the post to help create additional context or simply draw the users attention. The Event post type is used to promote an upcoming event directly in the search results. Perfect for helping to drive foot traffic or even signups for an online webinar or similar. 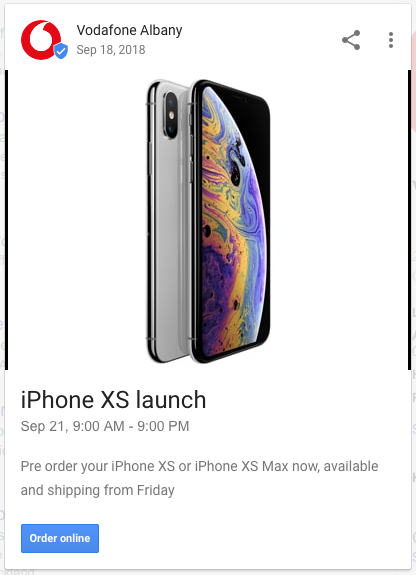 Vodafone used the Event post type to promote the launch of the iPhone XS mobile phone, with the launch date set and a call to action providing a link to pre-order the phone online. This post type accepts an event title, event details (up to 1,500 words), image or video, start / end dates and times, plus the optional call to action button. Offer posts are for business that use promotions, sales and offers – whether online or offline. The format is similar to an event post with a title, details, image or video, offer start / end dates and times. In addition to this there are optional fields for a coupon code, link to redeem said offer and terms and conditions. The ability to display the coupon on the post itself could be a powerful driver of purchase for eCommerce businesses. Be sure to use a custom promo code for the Google Post to make post-campaign analysis simple. Product posts allow you to put a spotlight on a specific product from your business. Especially useful for new product launches! Inputs include product name, details (up to 1,500), price or price range, plus the optional CTA button. Your Welcome email or series is your first impression. It greatly influences how potential customers feel about your brand, making it one of the most important pieces of communication you will ever deliver. 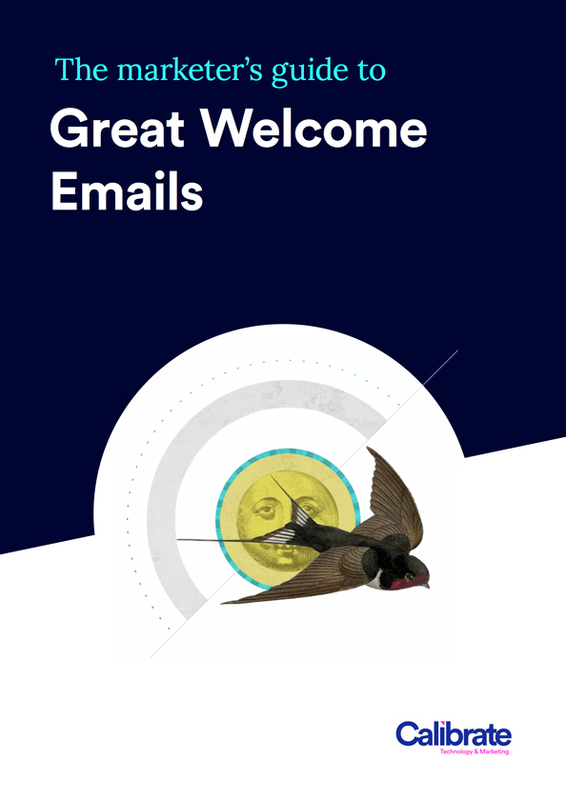 We evaluated 23 welcome campaigns by local and international businesses to provide you with a list of practical tips and a checklist for developing or improving your welcome email and subscription process. 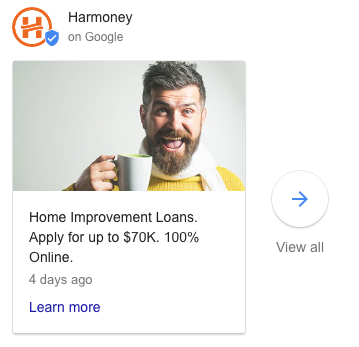 5 examples of Happy Birthday emails 10 Digital Marketing KPI’s to Monitor In 2019 Who dominates the New Zealand mobile market Q3 2016? Sign up to our monthly email newsletter list to get our latest work and articles delivered direct to your inbox.